Aoibheann (pronounced Aveen) grew up outside a small country town in the north east of Ireland, surrounded by animals like cats, dogs, rabbits, budgies and even a Belgian blue calf! 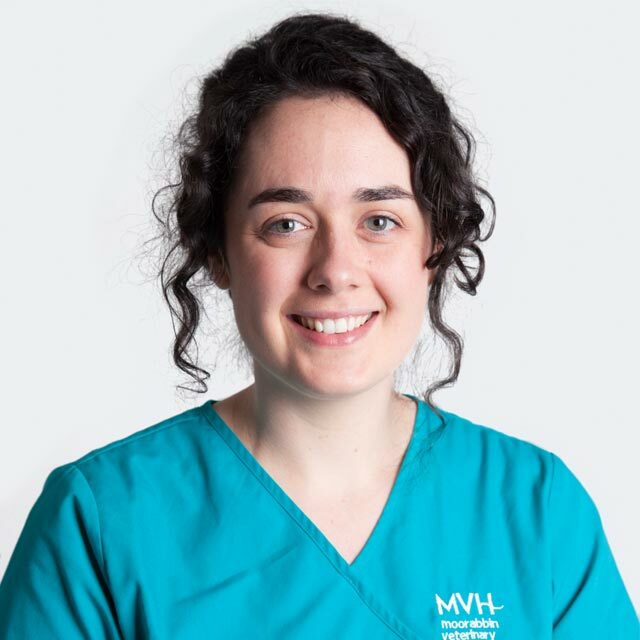 With a few years of experience under her belt, Aoibheann joined Moorabbin Veterinary Hospital in 2013 where her major fields are surgery and ultrasonography. Aoibheann desperately misses Tom, her springer spaniel that lives with her parents in Ireland (luckily she receives daily updates and photos!). Aoibheann is a keen traveller, with Latin America next on the list, but her passion for the veterinary sciences has her keen to engage in further study over the next few years.